Get in the mood for your cruise with an overnight stay on board the EUROPA 2 in Tokyo. Japan’s vibrant capital will greet you with a dazzling display of contrasts, between the modern areas and the cultural gems of the past such as the imperial palace. Ago Bay, with its fjord-like waters, is a truly impressive sight. Visit the famous Ise-Jingu Shrine*, one of Japan’s sacred national treasures, and Mikimoto Pearl Island*, where the first cultured pearls were created at the end of the 19th century. Enjoy the fascinating impressions of Okinawa Prefecture on an excursion to the Shuri Castle* with a visit to the royal Shikinaen Royal Garden. Or visit the ruins of Nakagusuku Castle*, which dates back to the 15th century. The main island of the Yaeyama archipelago is famed for its idyllic swimming spots and fine sandy beaches. Discover its beauty on a tour*. The fast ferry will take you to the neighbouring island of Taketomi* with its long sandy beaches and picturesque little town. The express lift will speed you to the 89th floor of Taipei 101*, one of the tallest buildings in the world. Get up-close to the highlights of Taipei, such as the Martyrs’ Shrine, the world’s biggest collection of Chinese art in the Palace Museum and the “Dragon Mountain” Temple on a city tour*. An impressive skyline and a paradise for shoppers – the vibrant hotspot has a whole host on superlatives to offer. Visit the highlights of Hong Kong on a city tour*. Or get an even more spectacular view of the architecture on a helicopter flight*. Exotic fragrances, extraordinary flavours and the finesse of Asian cuisine await you on a private food-tasting tour* to the markets of Hong Kong. Delve into a world full of culinary surprises. Bizarrely shaped limestone cliffs rise high out of the turquoise water and the sheltered bays beckon with floating villages – the wonderland of Halong Bay and its 3,000 islands awaits you on a tour by local motor boat*. A relaxed day in Da Nang – or perhaps an excursion to the Imperial City of Hue*, the splendid relic of the Nguyen Dynasty? Design the day as you wish. A city tour* of the old harbour town of Hoi An is also sure to deliver some impressive insights. Experience the city on a tour* with two perspectives. Start by heading to the 49th floor of the Bitexco Financial Tower and let your gaze wander over the centre and the many magnificent buildings. Then enjoy a walk past the opera to the town hall, followed by the Jade Emperor Pagoda. Futuristic yet traditional. 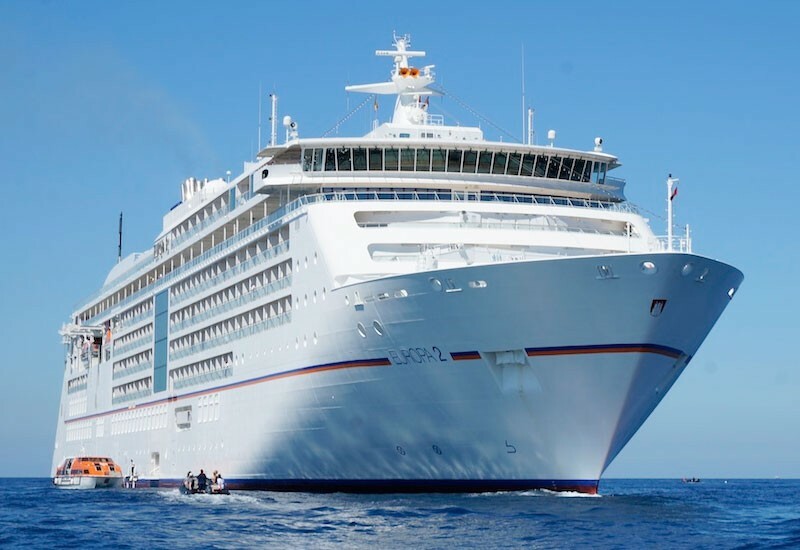 Your cruise on the EUROPA 2 ends in Singapore.